I had been art journaling for my own relaxation and enjoyment for about a year and thought that this might be an enjoyable activity for youth as well. 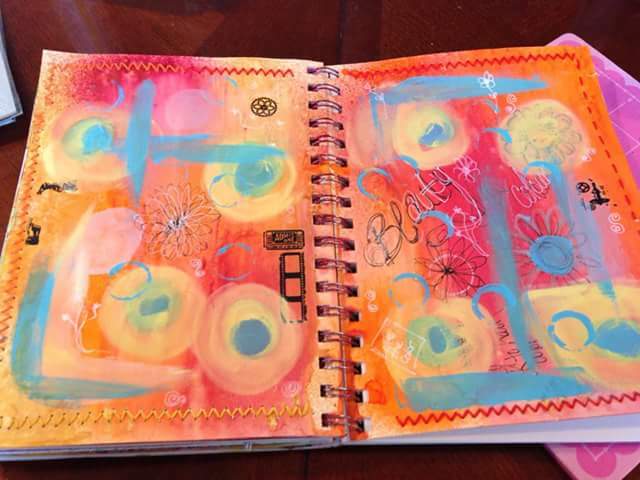 The thing I loved most about art journaling was that I didn't need to be an artist. I am certainly not in denial about my inability to draw. 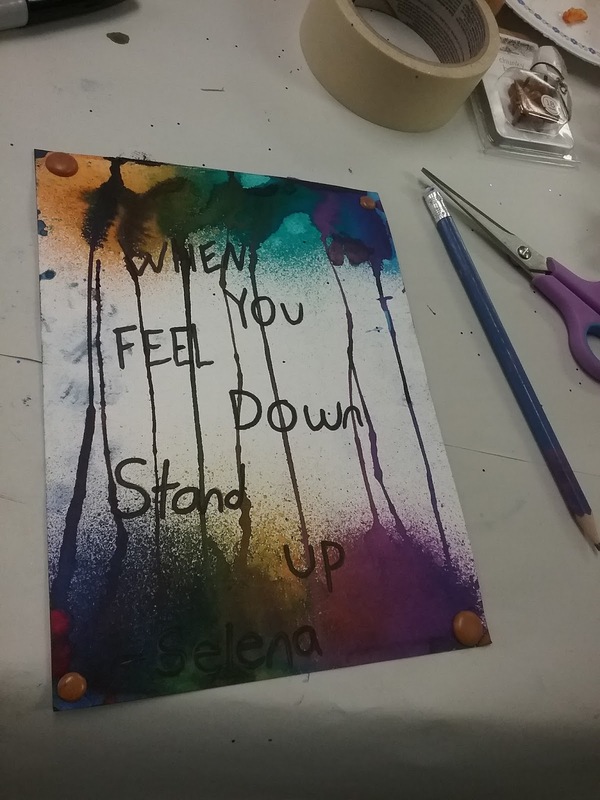 I can't draw a straight line or a round circle without the help of a ruler or stencil. 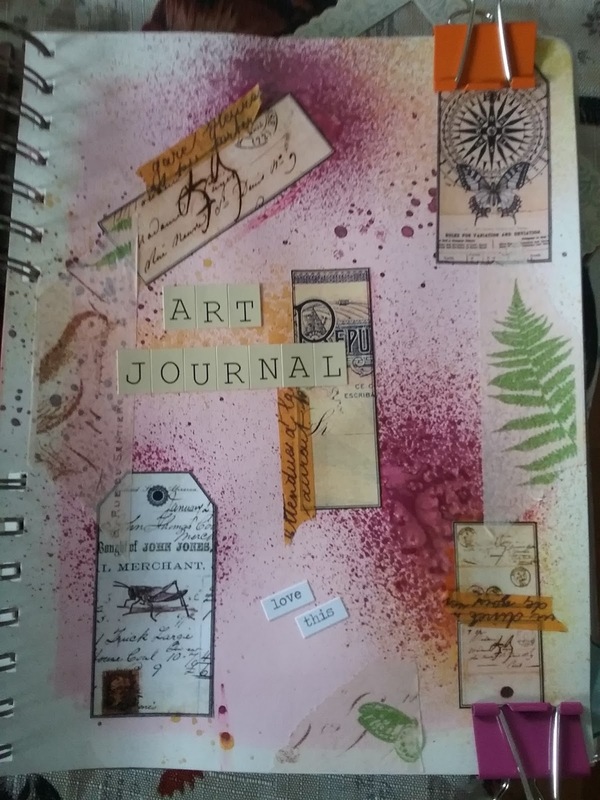 I also love that art journals can be filled with words or void of them, use collage, paint, stenciling, drawing; pretty much everything that you can imagine. 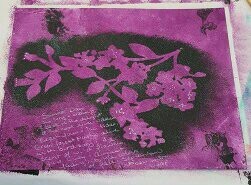 It can also be done inexpensively with supplies from the dollar store and found objects, left overs from a friend's scrapbook hobby or gems found at garage sales or the second hand store. 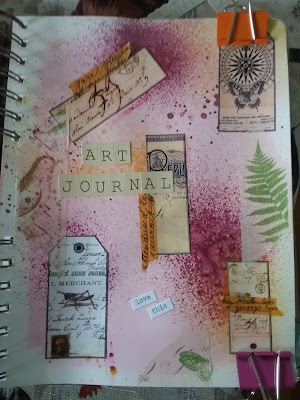 The affordability of art journaling is something I thought would appeal to some of the youth I worked with who could not afford fancy expensive art supplies. I decided that I would run an Art Journaling Group over the summer but I would open it up to all girls ages 13 to 19. This way the group was not restricted to clients of the agency. 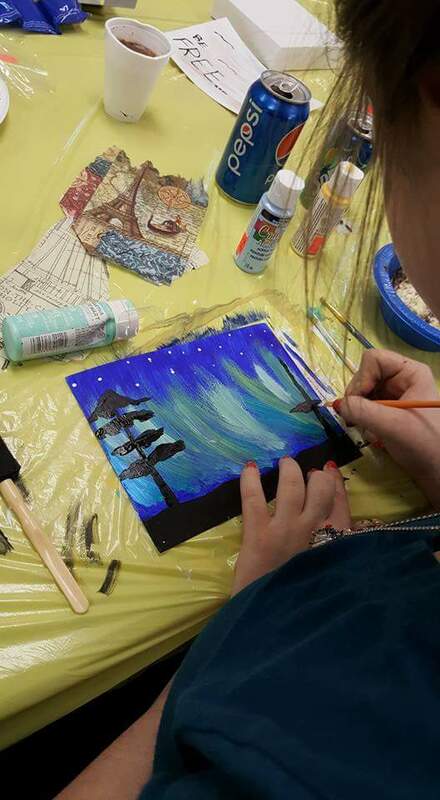 This would be a community group for anyone who needed a fun activity to do over the summer with their peers and an adult mentor. 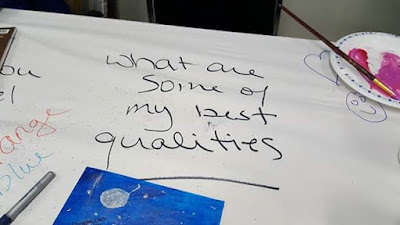 The group was not therapeutic in nature but we did invite other counselling professionals to visit and participate so that relationships could be built. 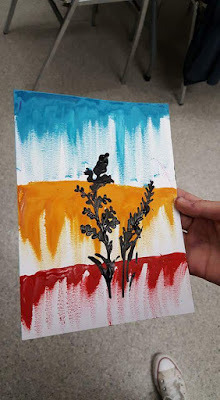 This way if there was a need for counselling or other supports, the members of the group felt more comfortable approaching one of the counsellors or support people they had met at Art Journaling Group. The group started out small and attendance was sporadic but over time the group grew as the girls started inviting their friends and community professionals spread the word. Some days there was a small group of 3 to 5 girls and other days that number grew to 18. There was no registration and no committment requirement. It was drop in style and there were no expectations for attendance. It was free and everything was provided including food. The group was introduced to the concept of Art Journaling through my own art journals as examples. I also brought in magazines from Stampington, specifically their Art Journaling publication. 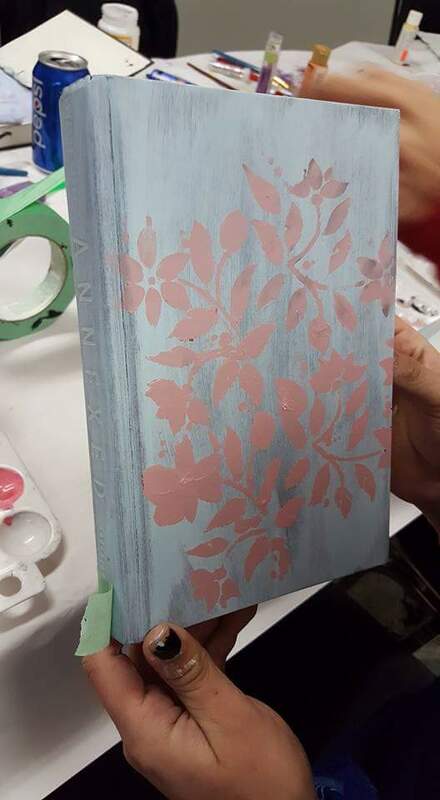 I showed the girls the basic supplies they would be using and the basic techniques I used in my journals; collage, paint, stenciling, stamping and of course, journaling. I showed them how they could write down their most private thoughts and then disguise it with paint and other mediums so that it stayed private. There was no expectation for what they created. 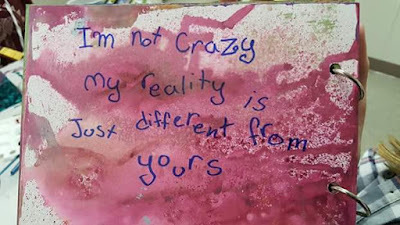 In fact, some days there would be a girl or two who did not create anything. They would visit, have a snack, and maybe surf the internet. 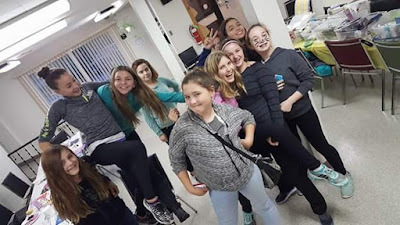 It was a safe place to hang out and connect without the expectation of conformity or performance. 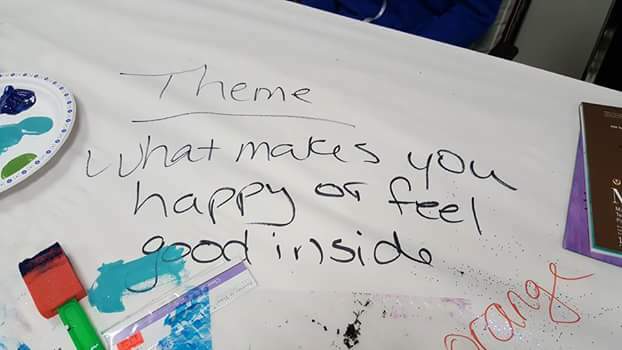 I provided the group with a prompt for the day that consisted of color, shapes and theme that they could use for inspiration if they needed. They were not obliged to use the prompt in their creations. We would surf the internet for ideas, sayings, and tutorials. The girls learned about the power in words and the connection to emotions; how an uplifting phrase and a beautiful hue could lighten their mood and tune out the stress of life. When I first started the group, my employer paid for the supplies and food for snacks. For the first 2 years space was provided to us free of charge by a local agency. When that term position ended, I had to find funding for art supplies and food. I decided that my time would be voluntary; we met once a week for an hour and a half and it was something that I enjoyed. I was able to find funding from some local sources through a group funded by Doctor's of BC that was focused on child and youth mental health and substance use. They paid for supplies, food and rent when we ran out of free space. 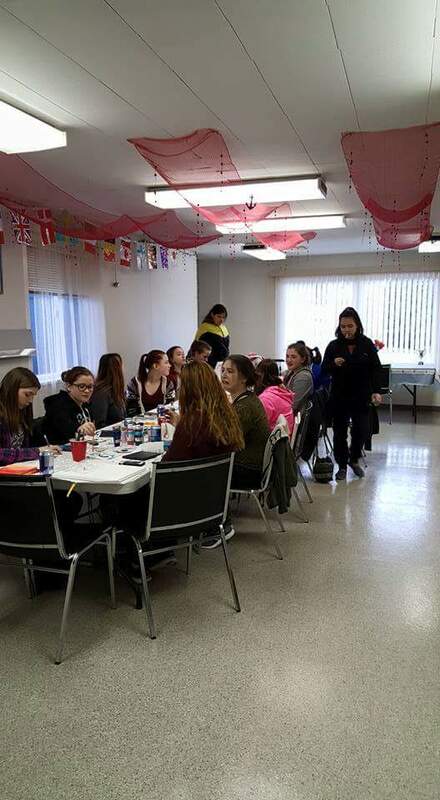 I was also able to secure small grants from a local literacy organization and on a provincial level; the McCreary Foundation. Supplies and food cost about $60 per week. This year the girls and I have done some fundraising like bottle drives and selling art canvases made by the group. 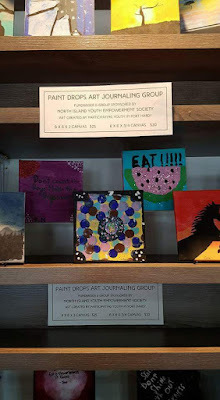 The group's art canvases featured at a local artisan store. 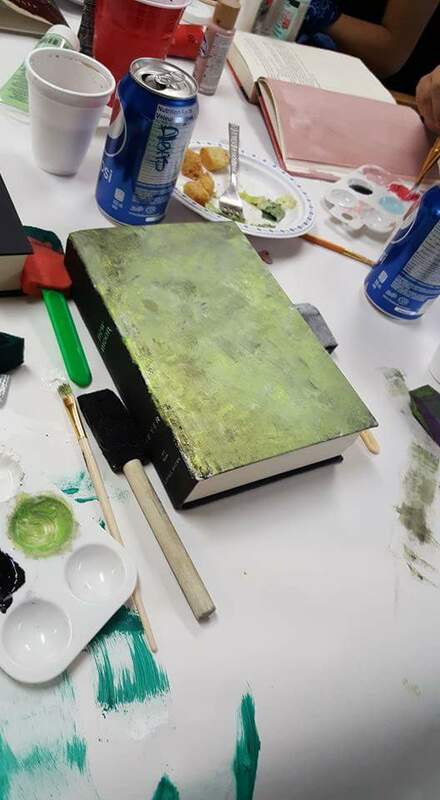 We have used a variety of supplies including used hard cover books purchased from the local second hand store for a dollar a piece, turned into upcycled art journals. Modge Podge, stencils, stamps, stickers, glitter, spray inks, acrylic and water color paints, felts, and gel pens just to name a few of the things the girls have used to create their art journals. Some of the girls that have been with the group long term have acted as co-facilitators. When new girls joined the group everyone helped out with showing them around and making them feel welcomed. Girls have come and gone from the group. We've had different adults come and visit and help out. We've changed locations, days of the group and times. Now we break for summer and meet up again in the fall. We have a lot of fun. 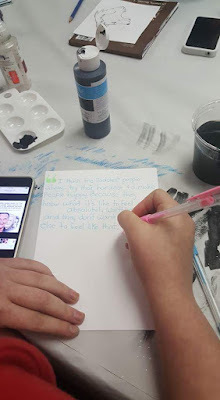 I hope that this story will inspire you to start an Art Journaling Group in your community. Questions and comments are welcome. Happy art journaling!